The financial markets continue to get more complex, while professional investing becomes an increasingly important part of an association’s overall fiscal strength. As a result, an association’s fiduciary responsibilities and the need to access institutional caliber investment advisory services has arguably never been greater. Many associations simply do not have the investable assets to access the quality of investment advisory services they require. And those that do are often faced with the challenge of navigating a myriad of potential advisory options—such as banks, broker/dealers, asset management firms, and registered investment advisers. To meet this challenge, we engaged a rigorous and comprehensive due diligence process resulting in this offering brought to you by DiMeo Schneider & Associates, L.L.C. Whether your goals are to maximize returns on short term assets or achieve long term growth for your organization’s investment reserves, endowment or foundation, this Program has a solution for you. 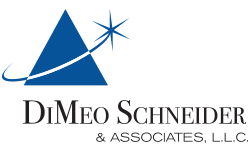 For more information about DiMeo Schneider & Associates L.L.C please view the resources below. For a complimentary consultation contact Trey Olcott at 703.720.5990 or tolcott@dimeoschneider.com. ASAE Investments LLC may receive compensation from DiMeo Schneider (DMS) for introducing associations to DMS for purposes of investing in the Endowment, Foundations and Investment Reserve program. The fee will not increase or decrease the cost of the program. ASAE Investments may only transact business in the District of Columbia if licensed, excluded or exempted from the District’s investment adviser or investment adviser representative licensing requirements; and follow-up, individualized responses to persons in this state by the investment adviser or investment adviser representative that involve either effecting or attempting to effect transactions in securities, or rending of personalized investment advice for compensation, will not be made without compliance with the District’s investment adviser or investment adviser representative licensing requirement, or an applicable exemption or exclusion.